Fortunately, most landlords want to follow the proper codes to protect their properties and their tenants. But deciphering the laws and fire codes for apartment buildings and condos can be challenging. One frequently asked question we receive here at FireProTec is, “Are Vermont apartments required to have fire extinguishers?” We’re here to make the requirements simple to understand. How do Vermont apartment fire codes work? 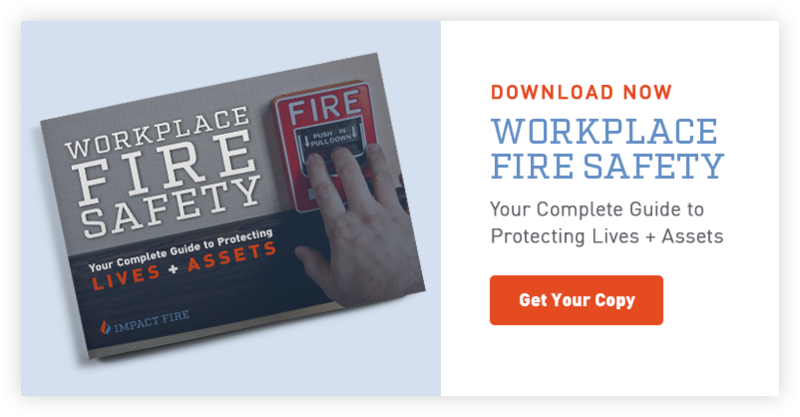 One reason people struggle to understand fire protection requirements for apartment buildings is because of the way the Vermont Fire & Building Safety Code is set up. Instead of spelling out the requirements, state codes often reference standards from other authoritative organizations, such as the National Fire Protection Association (NFPA). In simple terms: apartment buildings in Vermont are required to provide portable fire extinguishers. But whether or not they need to provide extinguishers in individual units depends on a few factors. We’ll explain below. Basically, you’re covered as long as your extinguishers are within 75 feet of each other. The code doesn’t necessarily state that extinguishers must be placed in individual units. But when you consider the size of a standard apartment unit, it’s easy to deduce that, to comply with the 75-feet rule, you’ll need to provide an extinguisher to each resident within their individual apartment. The code may specify that portable extinguishers need to be placed within a certain distance of each other, but providing every resident with in-unit extinguishers is a matter of life safety, not merely compliance. If a fire breaks out in an apartment or condo unit, the tenant’s access to a fire extinguisher should be as quick and easy as possible. Every second a fire burns is critical. The only way for an untrained individual to successfully fight a fire before it gets out of control is to catch it in the incipient stage. The only way to ensure that this is possible for your tenants is to provide a portable fire extinguisher within each unit. Your building’s portable fire extinguishers need to be inspected once a year by a trained and certified professional. Contact a fire protection company to set up annual maintenance and inspection to ensure that the fire extinguishers are always operational and in proper working order. That may be a little ambiguous, but at the end of the day, if you’re a landlord, this is your property. Setting up an annually-recurring inspection with a fire protection company is simple, and helps ensure that your property—and the lives of your occupants—stay safe. You also need to inspect your other life safety equipment, such as your emergency lighting. Let a professional handle these tests for peace of mind and optimal protection.